What do you do when you've finished building a new Boeing 747-8? You take it out for a sandwich run. In the future, Shank told the paper, he and his crew will take the plane to try out some pasties in Michigan's Upper Peninsula and lobster rolls in Maine. I'm going to go ahead and assume that should read pastries. Pasties are...well, if you're not familiar with the term you can click here for an eyeful. 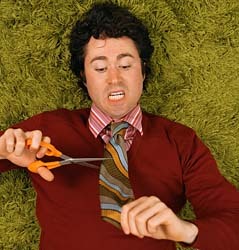 Fewer than six percent of American men wear ties to work. In Britain, less than 20 percent of men wear them. When we last visited the fewer vs. less debate, we found that the old "fewer grains of sand vs. less sand" shortcut didn't always apply, and that the most comprehensive rule to follow was "fewer for plural, less for singular." But this is a new twist. Is "six percent" a single quantity or a plural? Luckily, a quick Google search shows that someone has sent this specimen off to the lab for analysis and the guys in the white lab coats at the Chicago Manual of Style have come back with the results. They start by quoting an American Heritage Dictionary ruling that "Less than is used before a plural noun that denotes a measure of time, amount, or distance"--thereby muddying the waters of our singular/plural guideline pool. They go on to opine that a percentage should qualify as such a plural noun, on the grounds that...well, you can read it yourself if you're still awake at this point. In any case, the editors of Maclean's seem to have found their own non-solution by going with fewer in the first sentence of that pull quote and less in the second, ensuring that they get it right no less than fifty percent of the time. I believe all religions are bad. I think they're a waste of time. 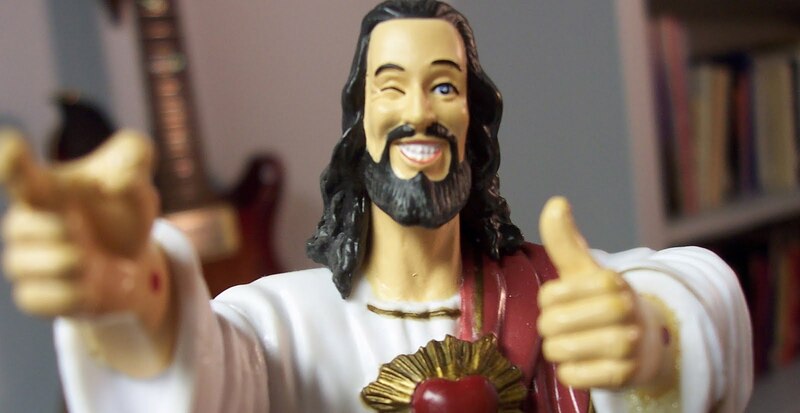 Jesus was a clever man. He wasn't the son of God. We all know that he was a very clever, wonderful man and he said, 'Church is in here meaning you are your own church.' If you're a good man you become contended, if you're a good person your dying breath is one of contentment that lasts for eternity and if you're a bad man and you've lived a bad life, you've done some wicked and evil things just for the heck of it, well that will hit you on your last breath of life, that's hell. Now, listen, this is the universe according to Brian and I'm probably as wrong as anybody but I'm as right as anybody else. All religions make money and cause troubles and war and death and I'm tired of it. Stop now! Enjoy your life! From the mouths of screeching heavy metal rock stars. But I think the interviewer had a couple of hiccups while transcribing the oracle's words. First of all, I'm pretty sure that should be contented rather than contended (although, of course, content would do as well). But more importantly, look at those quotation marks. There seems to be some confusion about when Jesus stops talking and Brian resumes. "Church is in here" are the words of Jesus--the rest is Brian's helpful exegesis of those words. So those closing quotation marks need to slide leftward to keep Brian from putting words in the late Mr. Christ's mouth, which I'm sure is some kind of sin. Yesterday in Slate, the ponderous and verbose Ron Rosenbaum burned through his customary three bushels of pixels (I confess I didn't get past the first few paragraphs) to question the wisdom behind Condé Nast's decision to move their high-profile magazine offices from their current Times Square crib. He says, with his customary measured understatement, that their plan to migrate to "the never-ending security nightmare known as 'Freedom Tower' at Ground Zero, may be one of the single most questionable corporate decisions in New York City history." Oh, forgive me, right, did I say "Freedom Tower"? 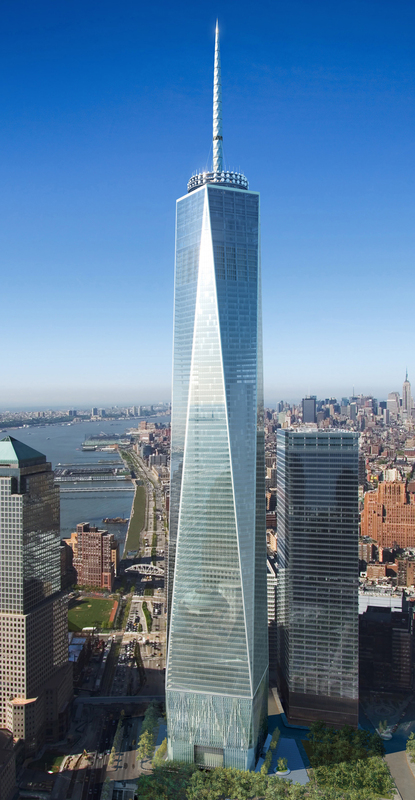 Sorry, the 1776-foot tall (take that, al-Qaida! 1776 in yo' face!) replacement for the Twin Towers has been renamed! The false bravado of "Freedom Tower"—especially for a building whose security precautions will make it more like a supermax prison tower—has been replaced (in 2009) by the dignified, nonprovocative reticence of "One World Trade Center." First of all, I can see it being "one of the most questionable corporate decisions," or "the single most questionable corporate decision." But "one of the single most questionable corporate decisions" seems to me a marble-cheese-type blend of singular and plural--and I hate marble cheese. Then there is the matter of that "false bravado." Many people (like me) will argue that the term is redundant because the word bravado itself is usually deployed to mean "a false show of bravery." There are others who have no problem with this construction, because they find the definition of bravado to be more flexible, but we can discount their opinions on the grounds that they probably enjoy marble cheese. Either way, though, there is no denying that "false bravado" has the stale odor of cliché about it, and that alone is good enough reason to reject it. I said I felt I had to talk to Mr. Shawn about the quote, which was vital to my story, although I knew he had a lot on his plate and I wasn’t going to get on my high horse if he said no. "A lot on his plate"? "Get on my high horse"? I guess even imaginative, keen-witted New Yorker writers can have an off day.